This order for AJC Strategies and they wanted a corporate but still personal image. We found this stunning photo for them which matched well with all their branded colours and logo. They deal with the top end of the market so it need to look very classy and expensive wsa the brief. They also wanted to add some latest company information also in the card as they had recently moved so it was a great was of letting customers know. 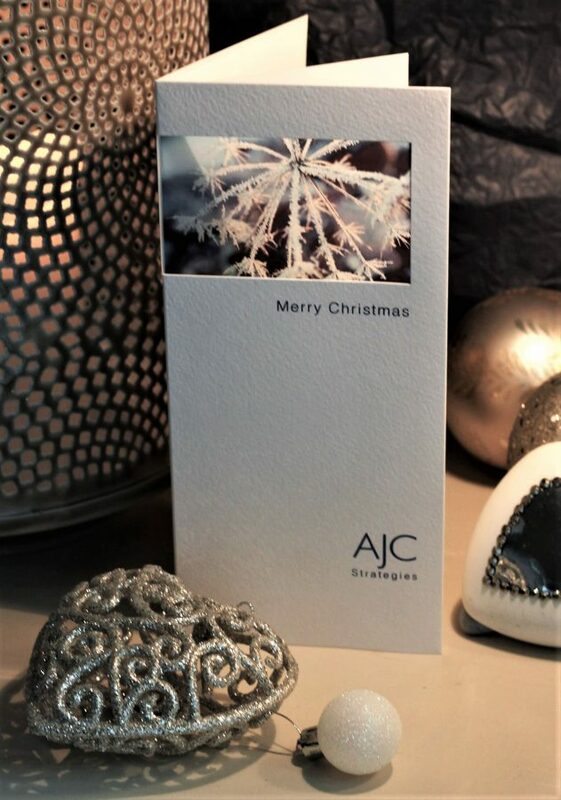 Just tell us you like the ‘AJC christmas card’ if you would like to use any design details from this example.